In the battle for smartphone supremacy, position is most often tracked in terms of operating system market share. In the U.S., for example, Google’s Android OS dominates, with a 52.2 percent share to the 33.4 percent share claimed by Apple’s iOS, according to the latest metrics from comScore. But what do those numbers look like when broken down by carrier? Consumer Intelligence Research Partners (CIRP) recently surveyed consumers who activated smartphones between June and August 2012 to determine just that. And they found what you’d likely expect: iPhone activations are highest at AT&T — Apple’s first iPhone partner. 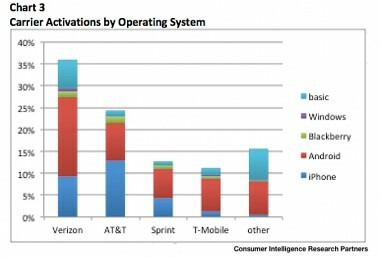 Predictably, Android activations are highest at Verizon. At Sprint, Android activations exceed those of the iPhone by a fair bit, and at T-Mobile — which supports, but doesn’t offer, the iPhone — Android devices make up the bulk of smartphone activations. Not a surprise, really. As Apple’s original carrier partner, AT&T has been building its iPhone subscriber base for five years longer than its U.S. rivals. 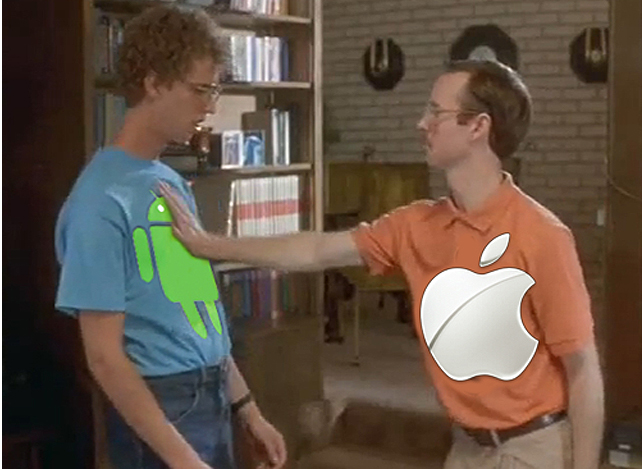 And Verizon has been aggressively pushing Android handsets since the first Droid debuted in October of 2009. It makes sense that they’d become strongholds for the OS they’ve each supported the longest. Interestingly, Verizon sells most of the phones it activates through its retail stores — about 70 percent. That’s far more than rivals, AT&T, Sprint and T-Mobile. In fact, according to CIRP, one-fourth of all mobile phone activations during the period it surveyed occurred at Verizon stores. And Levin says 91 percent of them came from existing customers. One last point worth noting: Across all four carriers, basic mobile phone activations far exceed those of smartphones running Research In Motion’s BlackBerry and Microsoft’s Windows. 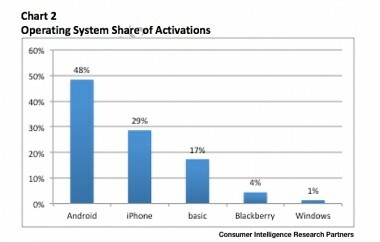 In fact, they’re more than triple the two combined — 17 percent to BlackBerry’s 4 percent and Windows’ 1 percent. Nobody was excited about paying top dollar for a movie about WikiLeaks. A film about the origins of Pets.com would have done better.